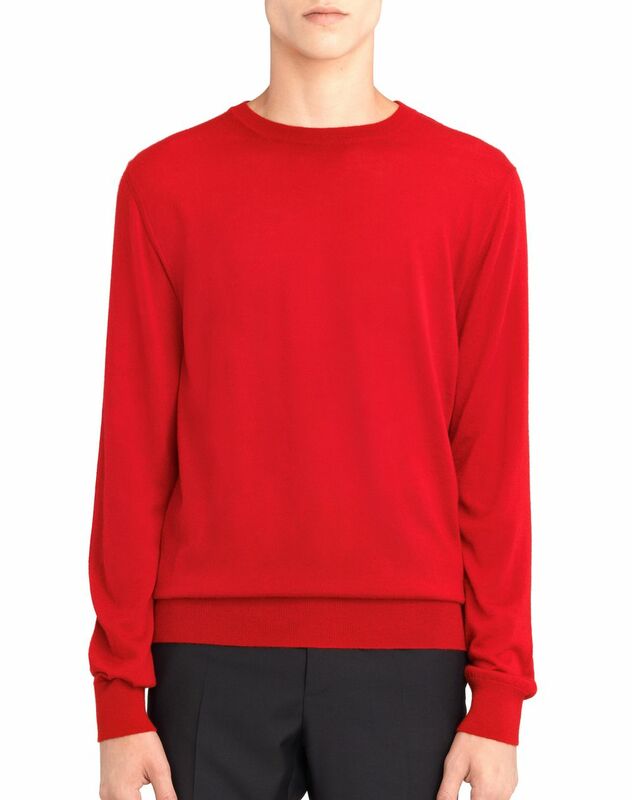 Long-sleeved jumper in red cashmere, crew neck, shoulder detail, and ribbed hems. 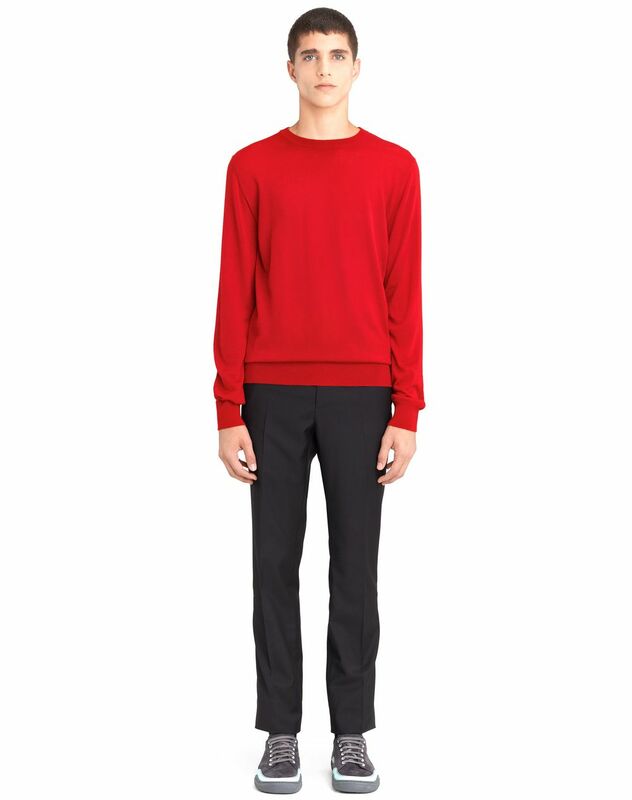 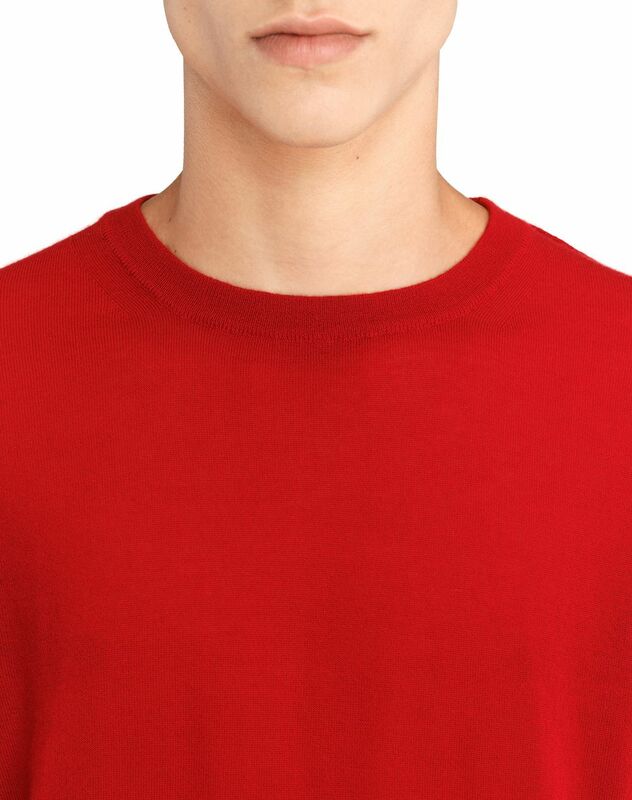 A male wardrobe essential, this crew neck jumper stands out for its red color and fine material. 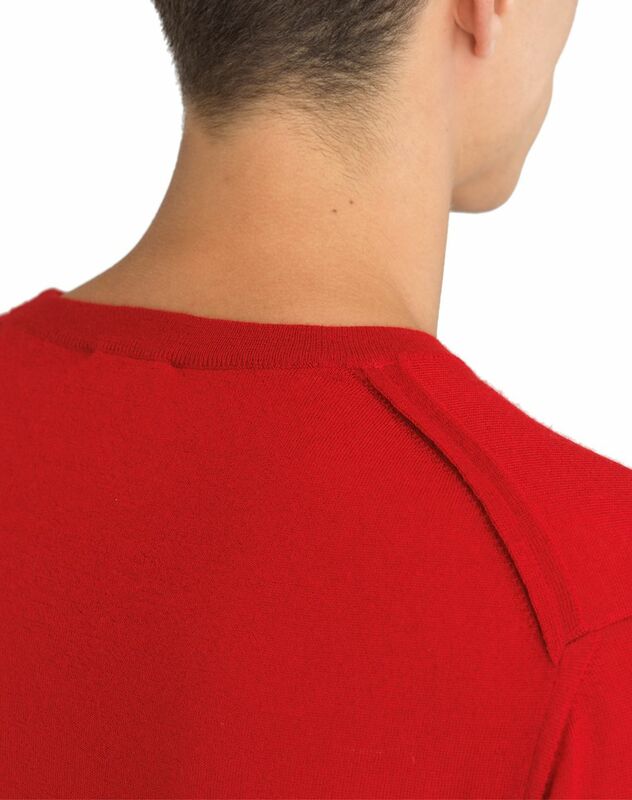 It provides a contemporary, elegant style. 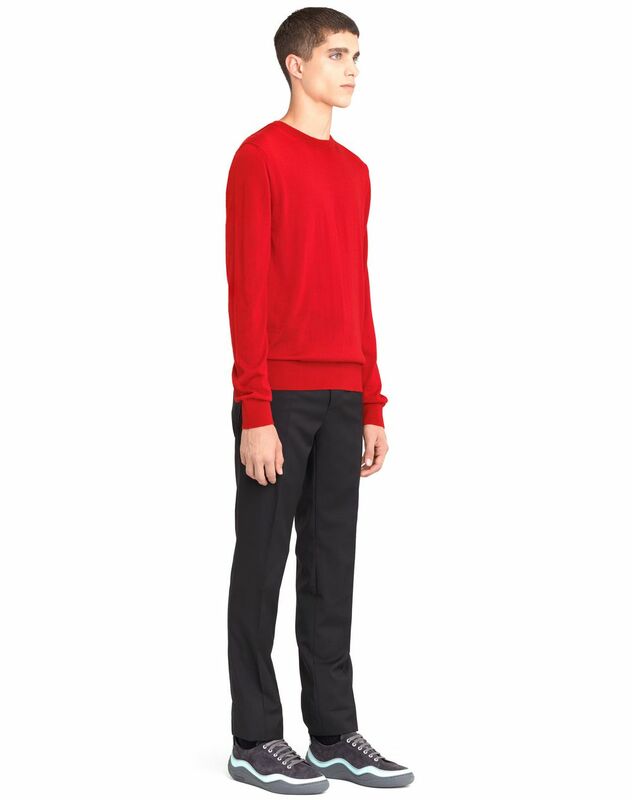 Main material: 100% cashmere knit. 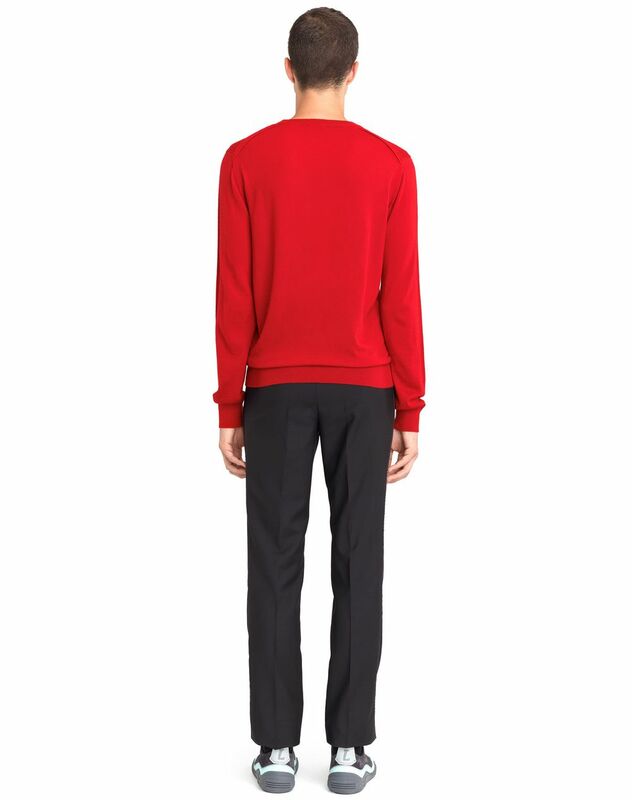 Model's measurements: Height: 185 cm Chest: 87 cm Waist: 71 cm Hips: 95 cm Model wears a size S. Made in Italy.